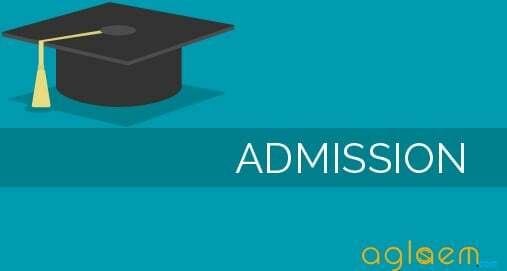 HNGU Patan M.Phil Admission 2018 – Hemchandracharya North Gujarat University (HNGU), Patan will release the notification for admission in M.Phil degree programme for the academic year 2018 – 2019. The M. Phil. Degree course shall be of one year duration full time course with two semesters. The exam shall be taken as per the schedule of the university and dissertation may be submitted within one year after the registration of the candidate.The complete detail of HNGU Patan M. Phil Admission 2018 such as application form, eligibility criteria, merit list etc.are given below. Latest: Result of M.Phil. Second Phase Candidate list has been updated, scroll down to check the same. HNGU, Patan will conduct the entrance test for admission to the M.Phil course for the academic session 2018 – 2019. Students having passed their Master’s degree in below subjects are eligible for M.Phil. Entrance Examination. It is mandatory for all students to appear at the entrance test for HNGU Patan M.Phil admission. 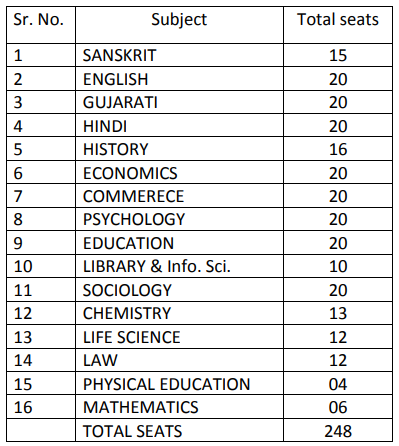 Gujarati, Hindi, Sanskrit, English, Indian Diaspora and Cultural Studies, Law, Economics, History, Commerce, Chemistry, Education, Physical Education, Life Science, Biotechnology, Sociology, Psychology, Lib. Information Science and Social Work. Schedule for the HNGU Patan M.Phil Admission 2018 is given below. Hemchandracharya North Gujarat University (HNGU), Patan will declare the Result of M.Phil Entrance Test 2018 officially. Candidates can now check the result on the official website of Hemchandracharya North Gujarat University or by a direct link as per the official announcement. For now Result of HNGU Patan M. Phil Admission 2018 Second Phase Candidate list has been released. Candidates can check the same from the link given below. Click Here to check Result of M.Phil. Second Phase Candidate list. The Application form can be downloaded from the university website at www.ngu.ac.in. Candidate will have to Pay Rs. 500/- towards application processing fee. Application Form of HNGU Patan M.Phil Admission 2018 dully filled along with documents will be accepted in person only. Forms sent through any other means will not be accepted. If above window does not load, Click here to view/ download. Master Degree with at least 55% (in Case of SC/ST 50%) in the concerned subject from this University or any other university recognized by the U.G.C. New Delhi. However the students appearing in Semester- 4 and Part-2 exam of the concerned Master degree may also fill the form. Candidates have to submit their Sem IV or Part II Marksheets within 7 Days after declaration of their results, If they are appearing Sem IV or Part II exam in March – June, 2018, Further this provisions is applicable for the students of H.N.G.University, Patan Only. There shall be a separate Syllabus for each subject for section : I and Section :II Syllabus for M.Phil. /Ph.D. Entrance Examination of Research Methodology shall be put on University website and Subject specific Questions shall be as per the UGC- CSIR NET Syllabus for Paper –II. Passing standard of the entrance examination shall be 50 % aggregate of both sections. Candidates having cleared the entrance test will be required to take an oral viva-voce of 30 marks conducted by the concerned university department. It will be compulsory for all candidates including those who have exempted M.Phil. Entrance Examination. Those who are submitted the dissertation in Guajarati are require to submit summary of the dissertation in English along with the dissertation . The plagiarism report is a must which should be included in the dissertation along with the certificate of supervisor. 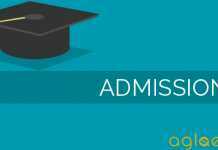 For more details on HNGU Patan M. Phil Admission 2018, download Notification.